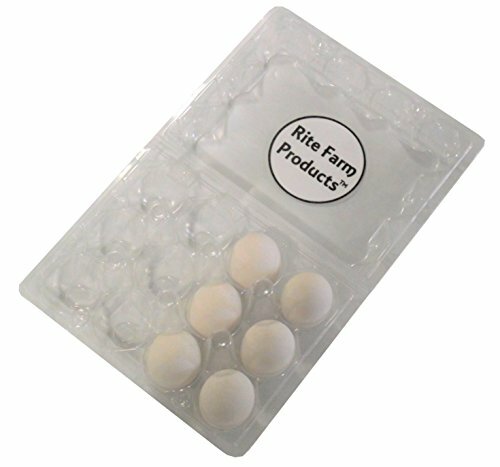 6 pack of white ceramic dummy Bird/Quail size eggs. 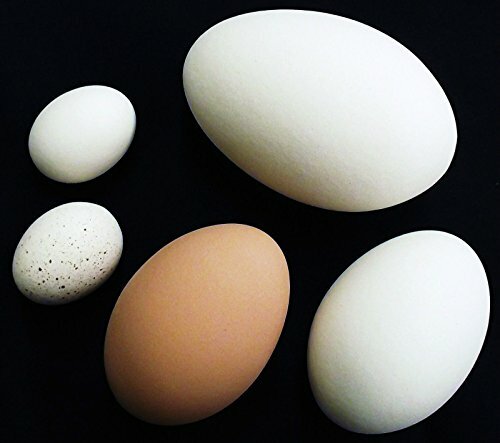 Each egg is kiln fired and is very strong and durable. They have the look and feel of real eggs. The ceramic eggs look so real you may try to make breakfast with them!! 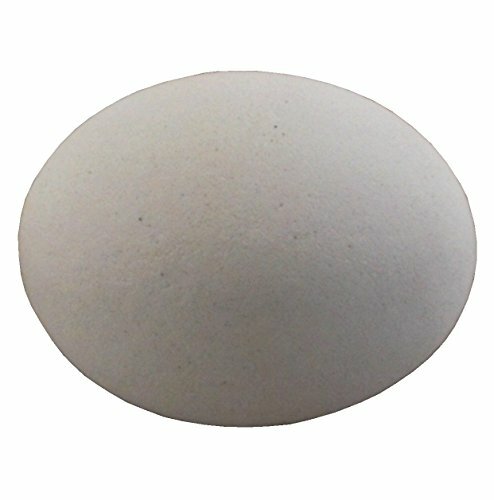 This ceramic egg is approximately 1.25 inches long. Perfect for planting dummy eggs in your nesting boxes when you are training your birds on where to lay there eggs. When there are dummy eggs in your nesting boxes they will learn to lay their eggs right where you want them. This trick has been used for many generations, is proven and works great. Using dummy eggs also help keep birds from cracking there own eggs. When you plant dummy eggs in nesting boxes the birds will naturally peck at the egg in the beginning. This is a good thing as when they are ready to start laying there own real eggs they will have no desire to peck the real eggs. Dummy eggs also work great for making all types of crafts and different art projects. Carton pictured not included.